Created by LG Software Innovations, 1 Click DVD Copy is an easy and efficient way to copy DVDs with just one click. This software is great for people who are interested in copying DVDs and movies, but who don’t want to spend hours sitting in front of a computer screen. This product can be used by someone of any skill level to create perfect and timeless copies of movies and DVDs even if you’ve never burned DVDs. 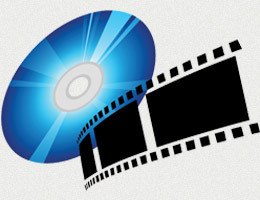 1 Click DVD Copy lets customers copy a whole DVD movie onto one disk, so instead of taking up space with multiple CDs or DVDs, customers can streamline the process. Not only can this software copy DVDs, it can also copy TV and movie files. 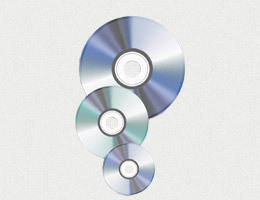 By incorporating CPRx technology, users can copy DVDs without worrying about harmful playback or copy errors. CPRx also keeps your program up-to-date by notifying you when an update is available. 1 Click DVD Copy provides easy-to-follow instructions that make it possible to burn DVDs and CDs without error, and unlike other DVD copying software, 1 Click DVD Copy is easy enough for anyone to use. Even if you don’t have much experience with computers or DVDs, you can still use this product with ease. This product is great for beginners because it is so easy to use, but because of its flexible features will be enjoyed by experienced customers as well. LG Software Innovations makes it easy for customers to set up and copy DVDs. 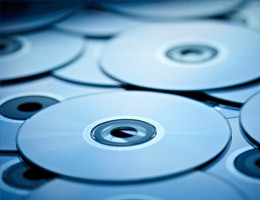 To copy a DVD, the customer puts the blank disk into their computer and clicks the “Start” button. But it gets easier— 1 Click DVD copy offers a user’s guide as well as a technical support group, so that customers can always get help if they need. With such a wide array of support features, customers can receive prompt technical support whenever they need. 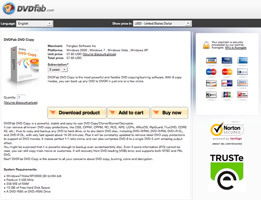 1 Click DVD Copy makes burning DVDs and CDs easy for users of any skill level. It also includes an integrated support system to help customers who may be experiencing issues. Their CPRx technology to make sure that their customers are receiving the highest-quality DVDs with the lowest amount of errors. With their helpful staff and prompt technical support, you can be sure that you will receive the best support whenever you have a problem. Thank you for reading our 1 Click DVD Copy Review. 1Click DVD is simply the best DVD copying software. It makes perfect backups of movies. It can make one to one clones of DVDs. Blanks discs, hard drives, and ISO files are all available as targets for the ripped DVD. Plus, you do not have to worry about running into roadblocks created by copyright protections: 1Click DVD is able to take on the most sophisticated protections. All output is of the highest quality. I did an experiment with my friends, and they were unable to tell which was the original and which was the copy when I put them into the DVD player. I have tried many DVD copying tools prior to picking up 1Click DVD. They all have some problems. Not so with 1Click DVD. The output quality is extraordinary without any glitches or loss of resolution. I highly recommend 1Click DVD for duplicating DVDs. I have used 1Click DVD for years. Within hours of any program issues, they are ready with fixes and upgrades. They respond quickly and never ignore your problems. 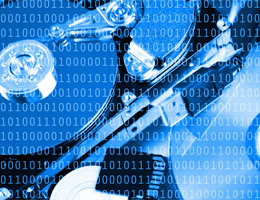 The computer program is incredibly simple to use. For all of 1Click DVD’s features (and there are a lot of them), there is a user guide that goes into detail about them. If that does not help, there is a support team that helps in multiple languages. Highly recommended.